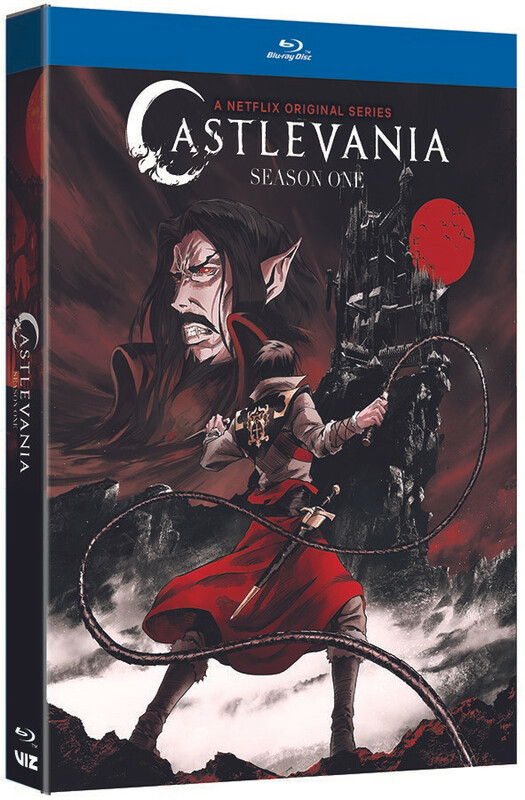 VIZ Media has announced pre-orders for the home media release of Castlevania Season 1. Set to debut on December 4, 2018, the four-episode first season of the series is produced by Frederator Studios and has streamed to wide acclaim on Netflix. Castlevania will be available on Blu-ray, with an MSRP of $24.98 U.S. / $29.99 CAN, and on DVD, with an MSRP of $19.98 U.S. / $24.99 CAN. Bonus features for the Castlevania Season 1 home media release include on-disc storyboards and art galleries for both the Blu-ray Disc and DVD. Exclusive Blu-ray extras include the sketch art-to-animation animatic sequences of Castlevania‘s most exciting moments.